Tis the season for holiday cheer! 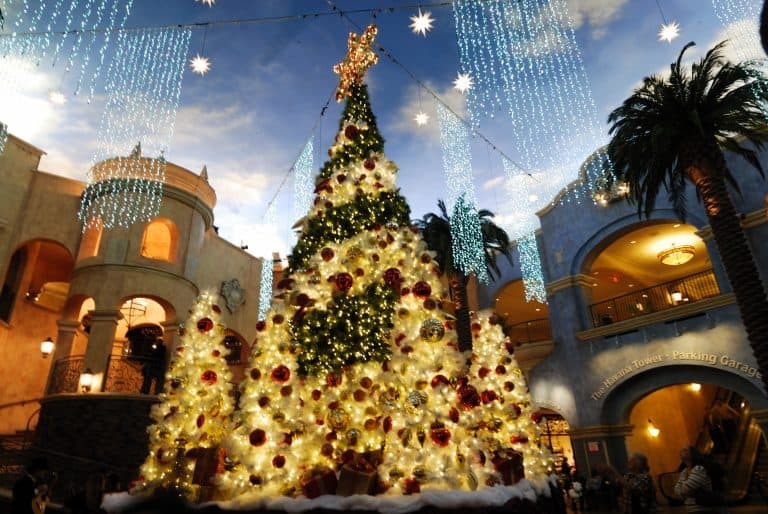 Experience the Christmas magic that New Jersey has to offer families. There are many festive activities throughout the state that both the kids and parents will enjoy. 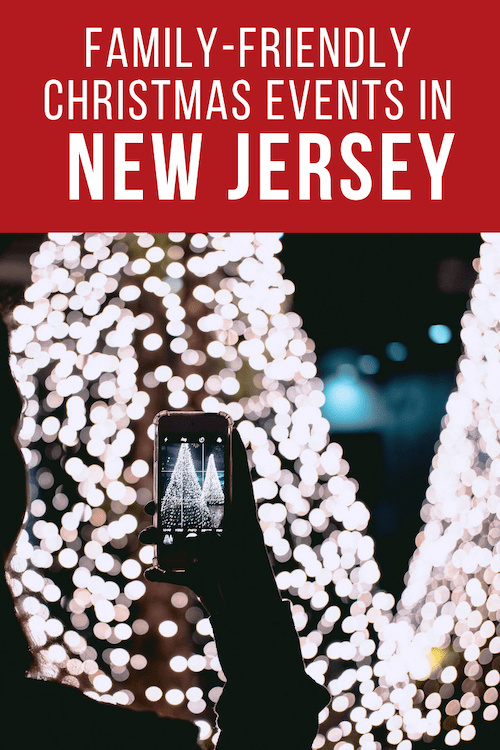 Explore the top Christmas events in New Jersey, 2018 with your crowd! Johnsons Corner Farm in Medford, NJ offers a magical holiday experience with thousands of Christmas lights to see as well as wonderful family-friendly activities. When the sun sets, take the Musical Light Show Hayride that dances with the Christmas music, see the light show on the lake, or roast s’mores on the open fire. Meanwhile, at the Discovery Barnyard, visitors can meet Santa’s reindeer and Santa himself while decorating cookies and sipping hot chocolate. In addition, hundreds of fresh-cut trees are available for purchase. Santa arrives November 23rd and the festivities continue weekends through December 23rd. Should your crowd want to visit during the week, reserve the holiday weeknight package. This includes a Light Show Hayride, admission to Christmas Wonderland in the Discovery Barnyard and Animal Farm with the new Light Show on the Lake, s’mores making, and 3D glasses for everyone. Enjoy Christmas Fantasy with lights at Storybook Land in Egg Harbor Township until December 30th, 2018. Visitors will be dazzled by over a million lights around the park that are magically turned on by Santa himself every night at 5pm. Be sure to head to his house to watch him come out of the chimney and wave his magic wand; he may even make it snow! Good boys and girls can visit Santa and Mrs. Claus in their home every day but Thanksgiving, Christmas Eve, and Christmas Day starting with the lights parade on November 17th, 2018 (rain date November 18th). All the rides of the theme park, attractions, and snack bars are open too! For a fun and different twist, visit SCUBA Santa at Camden’s Adventure Aquarium during their annual Christmas celebration. The aquarium turns into an underwater winter wonderland featuring holiday decorations, lights, and gently falling snow. At Gill’s Holiday Dance Party, kids will love meeting characters such as Rudolph, Bumble, and the elf fish. SCUBA Santa himself leaves the tank at schedule times to pose for pictures. You can enjoy all this and still explore the aquarium, their special exhibits and all it has to offer. The celebration occurs through the end of December. Plus, the aquarium is even open on Christmas day! Turtle Back Zoo is one of the highlights of West Orange. During the holidays, it lights up at night with holiday displays throughout the park for the Holiday Lights Spectacular. Best of all, admission is free for this event! Donations of non-perishable food items, unwrapped toys, and winter coats are collected and encouraged. Please be aware that the main zoo entrance will be under construction until the Spring of 2019, so do follow signs for temporary entranceways. Taking a train ride with Santa has always been at the top of many children’s lists. This tradition has only become more popular since the 2004 movie The Polar Express hit the screen. Families can hop aboard a train and have your very own Polar Express experience all over New Jersey! One of our family favorites has always been the Pine Creek Railroad located in Allaire State Park. Santa rides the Christmas Express and talks to every child on the train. This is a popular Christmas event in New Jersey and advanced ticket purchases are strongly advised. Daytime rides run November 23, 24, 25, 2018 and December 1, 2, 8, 9, 15, and 16, 2018 from 11am to 4pm. Nighttime rides run December 1, 8 & 15 from 6pm to 8:30pm. Trains leave every half hour. Call ahead on the day of the event to verify availability. Tickets go on sale beginning October 12 at 6:00 PM and the fare is $6 per person. After your train ride, enjoy the historic village and grab a cup of hot cocoa or cider in the bakery. On select dates at Jersey City’s Liberty Science Center, experience the 12 Days of Science. Guests will enjoy cool holiday events and special activities such as learning to make snow indoors. Take a Holiday Tram Ride through Grounds for Sculpture in Hamilton, NJ on Friday and Saturday evenings in December. Before you go, be sure to check out the event calendar for holiday workshops and entertainment for all ages. This unique place is a great opportunity to spend some time outside on a nice night. Atlantic City’s Tropicana Casino and Resort will present a daily multimedia light and sound show. This show is choreographed to an ever-changing variety of high energy music with their huge 35-foot tree in the center of it all. Experience it for free each night starting November 16, 2018, through the end of the year, along with other holiday-themed shows and events (like The Polar Express on IMAX in 3D and a holiday sing-a-long for example). Folks can celebrate the season everywhere on the property here no matter what their budget may be. Check for deals on family-friendly hotels in New Jersey. Historic Smithville offers a bit of Christmas magic with their synchronized Christmas Tree Light Show on the lake and family entertainment. Kids will love the Magical Talking Tree, Christmas Train Ride, and Story Time with Mrs. Claus all available on the weekends. The stores are open for browsing and the restaurants offer tasty treats. Palmer Square in downtown Princeton comes alive during the holiday season. It begins with the tree lighting and then continues each weekend afternoon with strolling entertainment and visits from Santa. Be sure to bring your shopping list and get a few errands done while enjoying the holiday festivities. 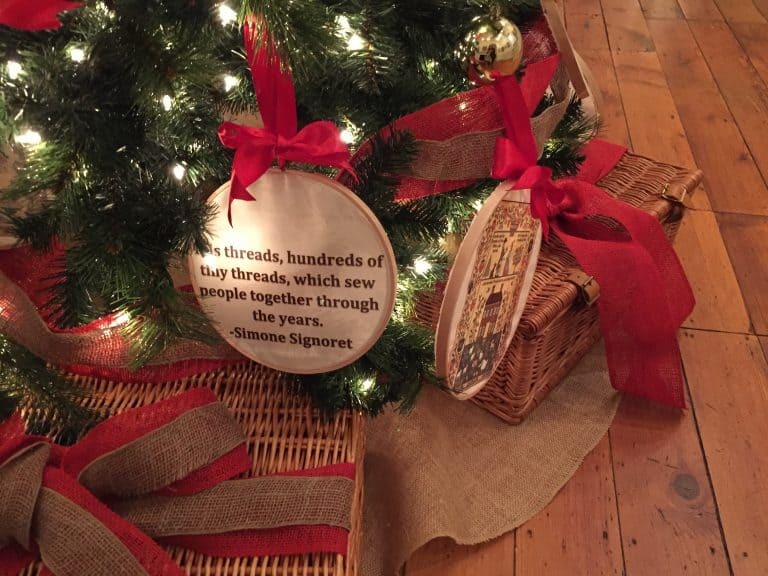 At the same time, a visit to Morven Museum for the Festival of the Trees is a treat. Each of the thirteen galleries of the museum is decorated for the holidays and features Christmas trees decorated by local groups and businesses. The Morristown Green is spectacular during the holidays. Experience festive decorations, visits from Santa, and family activities every weekend. 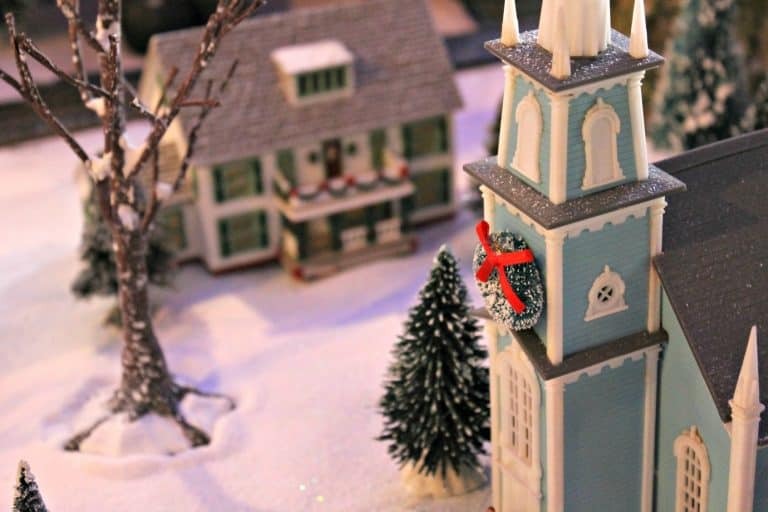 While in town, enjoy the Annual Gingerbread Wonderland at Frelinghuysen Arboretum. This 10-day exhibit features over 200 gingerbread creations! Guests can also enjoy ice carving demonstrations, carolers, and a craft show. Victorian Cape May is beautiful any time of year, but at Christmas time it is truly something special. Enjoy Christmas tours of the Inns, tree lightings, or Christmas shopping in the stores of Washington Street Mall. The Emlen Physick Estate sparkles for the holidays. You’ll be transported back to Victorian times while “An Old-Fashioned Christmas Exhibit” can be enjoyed in the Carriage House. The Cape May Trolley features holiday light tours as well as trolley rides with Santa! For your history buffs, you can relive the experience our troops had at Washington Crossing State Park. Each year on Christmas Day, thousands of people gather along the Delaware River to watch the as George Washington and his troops reenact the legendary river crossing. You will feel as if you were transported back to 1776 and have a truly unique holiday experience with the family. Look for the best hotel prices in New Jersey. Located in Historic Cape May, families will enjoy a stay in Congress Hall. Congress Hall is America’s oldest seaside resort and has been welcoming guests since 1816. During the holidays, Congress Hall turns into a Winter Wonderland bedecked with lights and festive decorations. Enjoy browsing through a shopping village. Then meet Santa in his workshop. Families will enjoy activities such as Gingerbread House Making, a train ride around the Cape May North Pole, holiday concerts, Storytime with Mrs. Claus, and breakfast with Santa himself. These lists that you come up with are always so AWESOME. Love all of the ideas. Hi Beth, Lots of cool things to do and places to see here. I want to check out Storyland with my daughter at some point.